Are you ready for some fun? Our 3 Amusement Rides and giant Super Fun Slide offer maximum fun for children of all ages! 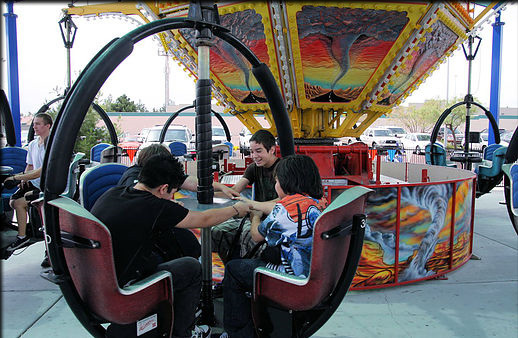 The Dive Bomber is our newest ride and a great way for everyone to enjoy the thrill of an amusement park ride. Once our crew checks with flight control, each young pilot takes flight dipping and gliding through the skies! They say there are never Tornados in Las Vegas. Well, we know that isn’t true. We see them every day! Your guests will love the experience of the twirling and twisting Tornado and are even more thrilled at taking control of how fast they spin! 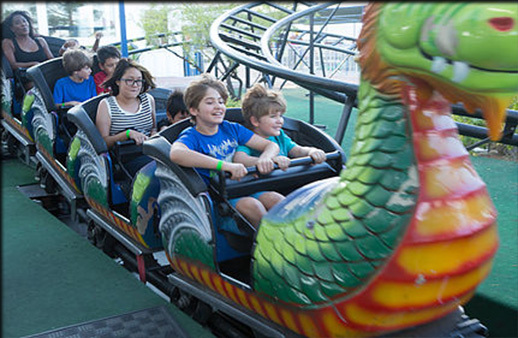 If roller coasters are your thrill, you will love the Dragon Roller Coaster! Our fast moving dragon is the friendly sort and brings joy and smiles with his quick turns and soaring up and down motion. All you have to do is hang on tight and enjoy the ride! Every kid loves slides and this one is no exception! 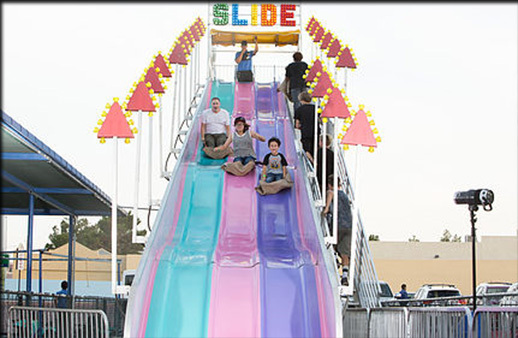 Our Super Slide is Super Fun because you get to glide down 90 feet of humpy bumpy amusement all while sitting on a potato sack! This is a must for birthday parties and every day guests who love the thrill and experience of sliding! 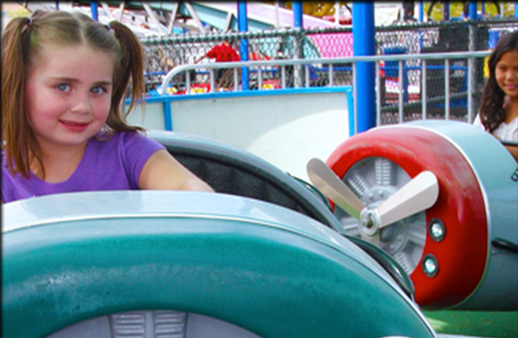 Go karts and rollercoaster for kids. Yay,,, yummy pizza and i think $8.99 large deal during the week. Def go!